I am running for a second term as Archdruid of ADF. I want to have a forum where I could list my bio, my list of accomplishments, and the answers to questions that were attached to a member’s personal survey. I first joined ADF as one of the very early members in 1984. At that time, ADF was still a vision of what was to come. I have followed that dream for 35 years, sometimes as a member of a grove, and others as a solitary member. I have devoted much of my life to this organization. Outside of ADF, I have several degrees in Philosophy, as well as a degree in Computer Science. I live in Ohio, but spend much of my time travelling to meet our membership. I am proud to be an active part of the leadership of this organization. Being part of leadership gives a person a unique perspective and I use that perspective to try to make ADF a better place for everyone. I have served as a member of the Mother Grove for a number of years. I have represented our membership as Chief of the Council of Regional Druids, Vice Archdruid, and now your current Archdruid. I have been honored to serve with a number of skilled and dedicated Mother Grove members who have made the process of improvement better and more interactive. During my first term as Arch Druid, we have made many positive changes in ADF, many of them based on suggestions that we have received from the Folk. We have opened avenues of communication, offered a Consent Culture course to our leadership and Clergy, and have plans to extend that training to our Senior Druids this year. As Archdruid, I have spent about 30 weekends a year on the road representing ADF to both our members and other Neopagans, wherever they may be. I have built bridges to with other organizations and offered rituals and workshops in the United States, Canada, South America, Australia, and Europe. I work hard to make sure everyone knows that ADF is an international Druid Fellowship and not just a regional organization. Additionally, I have completed many of the ADF Study Programs, and completed courses in many others. I believe the Study Programs are some of the great hidden treasures that are available to our membership and I want to experience them for myself to be able to share those gifts with others. I think the Dedicant Program is an excellent introduction and want to make it accessible to more people. I am a Senior Priest and an Initiate. I am also an ADF Master Bard and have published four books since earning that title including a book of devotionals for the Earth Mother that includes Philip Carr-Gomm and Damh the Bard of OBOD and Kristoffer Hughes of the Anglesey Druid Order. My most recent books, Saule and the Sunrise and Saule and the Sunset were published by ADF Press in 2018. I also write blogs for Patheos Pagan and articles for Oak Leaves and other publications. I have partnered with various other Druid groups through membership and interaction. I have appeared as featured speaker for festivals and gatherings around the world, giving me the opportunity to tell people about ADF and our practices. Move forward with the soon to be released action plan from the SWOT analysis. I will suggest that we do a SWOT every three years as a way to gauge our success. Complete the upgrade of our website. Our website has long been in need of upgrading and we recently engaged a Project Manager to run this process. We expect to be done this year. Continue rolling out Consent Culture materials to leadership and eventually to our membership. I hope to develop an in-house program that anyone can access at any time. Review our course material from Dedicant Program forward. We have some of the best Study Programs anywhere. I believe that establishing a standard review process of these programs will keep them up to date and vital. Continue to offer both opportunities for members and leadership to share their skills via You Tube, live-stream, or publication, both online and in print. We may not be able to build a temple in every city, but we can offer content to the world. Show our practice and our devotion to others in the Neopagan community. Our work offer others a glimpse of what we do and what they can accomplish with us. Put forward media resources to allow solitary members to feel that they are a part of the whole and not alone. Remember that leadership must be in service to all members and to the Earth Mother and Kindreds as well. ADF is my home. I believe in the Earth Mother, the Spirits of Inspiration, the Ancestors, Nature Spirits, and Shining Ones as real entities worthy of offerings, sacrifice, and devotion. I will continue to bring my hands, my heart, and my head to the work of ADF and ADF’s works to the neopagan community. I wish to thank all of those who have been a part of the ever-expanding experience that is ADF. I ask for your support in this election to continue the work that is ahead. I believe Archdruid is a verb, not a noun. The title you receive is far less important than the action you take while wearing it, and I am proud of the active role I have taken as head of ADF. Instituted a new, shortened election process that begins in February and ends in April as opposed to the old method which ran from Dec ember through April. Met with Philip Carr-Gomm of OBOD and Kristoffer Hughes of the Anglesey Druid Order and discussed Druidry and our commonalities. Started the tradition of Clergy Council High Day rites published on You Tube with the expert help of Rev. Amber Doty. Met with Solitary Members in Texas, California, and Illinois. Completed a Leadership Program with the approval of the Mother Grove. Became the first Archdruid to attend the OBOD Summer Gathering. I presented a workshop on ADF to Druids gathered for this meeting. Met with solitary members from Wales and England. Ordained our first European Priest in a ritual in Germany. It was a joy to celebrate this ordination with the remarkable collective of individuals representing their paths. Participated in a new Unity Rite where individuals represented all the various Groves, Protogroves, Prison Worship Groups, and our Solitary Members. Acquired an AED to be used at ADF festivals in the event of an emergency. Was the Guest of Honor at Sacramento Pagan Pride. Presented workshops and ritual at Starwood. Was instrumental in the passing of the new Continuing Education Program for the Clergy Council. Presided over the funeral of long-term member and beloved priest Earrach Canali (Earrach of Pittsburgh). Published “A Tree for the Earth Mother”, a book of devotionals including work by Philip Carr-Gomm, Damh the Bard, Kristoffer Hughes, and other ADF members. Named our first Human Services Specialist. Held the first December Mother Grove Retreat at my home in Toledo. Began using an organization-wide appeal for positions to fill needed positions in ADF, a suggestion brought to us by the Folk. Positions filled included Human Services Specialist, Public Relations Director, Office Manager, and Election Officer. Approved along with the Mother Grove that the Mother Grove, Clergy Council, and Regional Druids all take Cherry Hill Seminary’s Consent Culture Course. I personally paid 25% of the cost borne by ADF for this undertaking. This also included about a third of the Senior Druids and Grove Organizers. Asked that the first course/workshop at every ADF Festival be dedicated to Consent Culture. Enrolled ADF as a Corporate Sponsor of the America Forest Foundation without using organizational funds for this project. Met with Solitary members in Nebraska. Created the ADF Annual Report to streamline the Annual Reporting Process at the Annual Meeting and to list our accomplishments in one easily readable format. This cut down the time of the Annual Meeting considerably. Met with Solitary members in Michigan and Ohio. Created a new ADF Study Program course, Nature Awareness 3. Published two new books through ADF Publishing: Saule and the Sunset and Saule and the Sunrise. These were produced as e-books. Attended a multi-faith ritual and series of meeting with Druids, Asatru, and Wiccans at Coyote Ridge Correctional Center. Became the first Archdruid to visit the maritime provinces in Eastern Canada. I presented public workshops and was interviewed on a radio program. Presented workshops in Ottawa, Canada for assembled Druids and neopagans which were recorded and posted on You Tube. Participated in a Zoom Ritual at the Clergy Retreat which included not only distance attendance but distance participation. I hope this to be a model for the future. Created (with the Mother Grove) the position of Project Manager to guide the Website Upgrade project. Met with Solitary members in Tennessee, Indiana, and Florida. Sat on a Druid panel with Kristoffer Hughes of Anglesey Druid Order and Dana Wiyninger of OBOD. What do you consider the role of AD to entail, and how are you uniquely qualified to fill it? The role of the Archdruid is to act as the head of the Mother Grove, the Chief of the Clergy Council, and the spiritual leader of the organization. From the corporate perspective, the Archdruid is the Chairman of the Board. As the head of the Mother Grove, it is my job to review and process suggestions that we receive from both internal and external sources, and present those items to the executive committee or the board for discussion and decision making. While the Archdruid is the head of the Mother Grove, they are only one of the nine voting members. It is important to work with the entire Mother Grove as a team, and to be sure that everyone’s voice is heard, whether they are a voting member of the board or not. As the Chief of the Clergy Council, the Archdruid works with the Clergy Council Officers to process tasks and changes much in the same way that the Archdruid interacts with the Mother Grove. I believe it is important for the Archdruid to be creative and innovative, developing new ideas and methods of practice, both for clergy and members alike. One example of this type of innovation that I have displayed during my term as Archdruid is the Clergy Council High Day Ritual videos. The Core Order of Ritual is fundamental to our practice, yet many of our solitary members have never seen it in action. Creating videos gave our Clergy the opportunity to demonstrate this practice for the folk, giving a resource to our existing members, and acting as a form of outreach to others in the community. Another idea that I pioneered is the retirement of priests. It was inevitable that there would be a need for this to happen as our organization and leadership ages. I also think it is important for the Archdruid to talk about important religious topics like the Kindreds, our practice, and personally, the use of devotionals. I have created workshops, blogs, books, and other resources about these topics and others. The Archdruid is also instrumental in supporting priests, whether they came through Super Druid, were sanctioned by the Mother Grove, or came through the Clergy Training Program. Each of these categories of priests are real priests and all are valuable. I am uniquely qualified for this position because of my love and dedication to this organization. I have invested 35 years of my life to practicing and serving ADF. I have been honored to serve as Archdruid for the past three years, as well as Vice Archdruid for two terms prior to that. I have been a part of the Executive Committee for seven years. I have fulfilled all of my terms, without lapse, while continuing to travel across the globe to meet with our membership. I am available 24/7 and my contact information is available for anyone who feels the need to reach out. I have also previously served on the Board of Directors for White Oak Order and Cherry Hill Seminary. In addition to my extensive experience as a member of a board of directors, I also have served in leadership in many different roles within ADF, including time as an officer of the Clergy Council, the Bardic Guild, the Naturalist Guild, and many other subgroups, as well as listmaster. I made it a priority of my leadership to reach out and get to know to our members, wherever they may be. I want our members to know that their leadership is someone who is kind, welcoming, and concerned about their well-being. The most important part of leadership is service to the folk and I have endeavored to help any and all members as often as I can. Do you have any “day-job” qualifications for the position, and if so what parts do you use most often/benefit ADF the most? I work in the Information Technology industry in my “day-job”. In my professional role, it is important to be able to collaborate and work with a team on a daily basis, while also being willing and able to perform individual tasks to keep projects on track. This balance of working with others, while also making sure your tasks are completed is a valuable tool as Archdruid. I am comfortable working with a group and setting aside personal differences to pursue a common goal that benefits everyone. Every undertaking requires a number of people working together so that everyone feels included and so that the individuals involved feel that their voices are heard and that their needs are met. I also know it’s important to follow through with tasks that are specific to the role of Archdruid. Additionally, the IT world has come a long way in the last 35 years. Technology is now common in our everyday lives, through both websites and social media. As Archdruid, I recognize the need for our organization to better utilize those tools and have worked to improve our access and usage of both. Finally, technology is a world that requires flexibility and adaptability each time things change, which is often in IT. That adaptability is important as the needs of our organization, and our board members change. Having IT skills is fundamental is today’s electronic world. The internet and opportunities that are available through electronic media make our outreach and connection with others even more important. I am fortunate because I also have I have the benefit of experience in the job of Archdruid. I have been in this role for the past three years, so I have practical day-to-day knowledge that comes from doing the work. I view ADF as my second full-time job, and it’s a job that I hope to be able to continue. Describe your leadership style and why it makes you a good choice for the position. I consider my leadership style to be a combination of democratic, team, and visionary leadership. The Archdruid is alone in their leadership and much try to reach consensus whenever possible. For tasks and decisions that come to the Mother Grove, I always engage the other members in the decision making process. The Archdruid is only one of the nine votes in any matter. I find that engaging everyone in the decision making process gives everyone ownership in the solution. I consider the Mother Grove to be a team, gathered from different communities, working together to fulfill our mission and our vision and support our membership. No member of the Mother Grove is less than any other. I consider this team to be peers and I treat everyone as equal participants in the process. We are elected by the membership to represent them and we must leave personal agendas aside as we move forward together. I have a vision as well, as I believe an Archdruid should. I feel that ADF is a world-wide organization, and seeing people practice on four continents has shown me that our actions transcend nation, regional, and linguistic boundaries. Our discipline, our Core Order, and our Devotion to the Earth Mother and the Kindreds are a unifying force that allows us to offer a similar and powerful experiences no matter where we are located. My encounters have shown me that when people see what we do, they are interested. I believe that by following our vision, we can touch members and non-members alike worldwide. The Earth Mother is understood and experienced in so many different places and different ways. Why are you seeking this office? Why do you love ADF enough to devote substantial time and energy to the organization, and what do you see as the limits and boundaries you would have to place on your involvement? I have dedicated the better part of my adult life to being a Druid. After 35 years in ADF, it is not only my home, but it is a way of life. When I first joined the Mother Grove, I did so to make a difference and to help bring my long experience as a member of ADF to use, hoping to benefit both Solitary and Grove members. I was a solitary for over 20 years before joining a grove and I understand the challenges of practicing alone and being distant from other members. It was my practice that kept me active within ADF and I want to share my devotional practices with other people. It’s also that unique insight that makes me so dedicated to reaching out and being available to our membership. As I’ve said before, I view ADF as my second full-time job. I dedicate between 20 and 40 hours a week to ADF, not including travel time or attendance at festivals and gatherings. I am willing to give as much time as is necessary to do the job the right way. As the Archdruid, I must be ready for engagement wherever and whenever the need arises. One cannot just step away. I am very fortunate that my wife Rhiannon understands and support my work as Archdruid as a partner and as a member of ADF. The Archdruid must be able to dedicate large amounts of time for the organization and must get out and meet the Folk, whether it is at festival, one-on-one, or at long distance. Archdruid is not a spectator sport – it requires active participation. I have done this over the last seven years, even prior to becoming Archdruid, and will continue to do this into the future. It’s important to me and our members to see the leadership in action and feel like they have been seen as well. How will you promote & grow ADF’s commitment to a culture of consent? The Mother Grove decided last year to send all priests, Regional Druids, and members of the Mother Grove to Consent Culture training through Cherry Hill Seminary. I have been and continue to be very supportive of our leadership receiving training in consent culture. I personally provided financial support for 25% of the cost of ADF’s consent training last year, along with paying for my own and several other members as well. I believe in right action, and felt this cause was worth the investment in our leadership. We were very fortunate that a number of the individuals who received training were also Senior Druids or Grove Organizers. However, we have budgeted for the remaining Senior Druids and Grove Organizers to receive a consent culture course this year. I have asked Cherry Hill Seminary to if they could develop an on-demand Consent Culture course that we could provide, not only leadership but membership in general. We have also asked our Human Services Specialist to develop some resources for our membership. Additionally, last year I requested that the first workshop at every festival be dedicated to Consent Culture. This request was implemented at many events and the workshops were well observed and attended. I am committed to making ADF a safe place for everyone and am dedicated to continued offerings of Consent Culture training. Share your thoughts on the ADF saying “fast as a speeding oak” and why roots are important to you and to the org going forward. Fast as a speeding oak is a phrase that meant deliberate and steady progress would yield results over time. In the early days of ADF, where communication was done entirely via “snail mail”, the pace of progress was very slow. Yet from those early days, we have progressed from being a small regional phenomenon, to a national organization, and then the international organization that it is today. ADF relies on a lot of volunteer energy to run Our Own Druidry. Since we rely on volunteers, some things may take a little longer than if we were able to pay for full time staff. This is not an excuse for moving forward slowly but an explanation that some things are a process and not just an event. Larger organizations have larger budgets and weekly or occasional collections that take place at local services. We do not have this luxury. Most of the funding that is collected locally remains local and we look to membership to be generous in their donations to the international organization. “Fast as a speeding oak” also suggests that slow and steady growth yields a firm foundation. I believe that this is the case in ADF. It is our membership base, whether they are long-term, mid-term or new, that add to the diversity of people and experiences that makes ADF unique. I have been a member since 1984 and have seen a lot of different thing over those years and learned along the way. Some events are lightning bolts, some are gentle, nourishing rains. Our long-term members are those deep roots that anchor the organization. It is our traditions and practices that strengthen us. It is continuing and new members that bring us their experiences and insights and move us forward. The true test of change is sustained change over time. “Fast as a speeding oak” speaks directly to this sustained change. Do you believe the axiom the needs of the many outweigh the needs of the few (or the one)? It would be nice if we as ADF could always achieve consensus, but with 1300+ members from all walks of life, this is nearly impossible. We can develop situations where we can satisfy the needs of most of our members, but there are always those who do not agree or choose to follow. In binary situations, where a choice must be made one way or another, it is unlikely that consensus will occur. Elections, like the one we are approaching now, are one of those binary choices where we must choose one over another. This is not a weakness, but a feature of certain situations. As leaders, we hope to meet all members’ needs, but invariably, there will be times were choices must be made and decisions rendered. This is not said gleefully or without knowledge of consequence, but it is the way things are at times when people are involved. What efforts will you take to improve outreach & engagement for solitary members? As part of my last campaign, I pledged to reach out to and visit solitary members and have been fortunate enough to do so throughout my term. I have reached out to members to see if they wanted solitary visits and for many of those members I have met with them, either in their communities or at gatherings and festivals. I specifically designed the Clergy Council High Day Ritual videos as a way for people who were not physically close to groves to experience Core Order of Ritual rites and to see our Clergy in action. I created the Clergy Skills and Strengths page to allow members to find priests with certain skills. In our most recent Mother Grove meeting, we discussed the creation of a database with members’ skills and services. I think every member is valuable with unique skills and experiences that they may be able to share with others. Several Groves have pioneered streaming rituals, such as Three Cranes Groves. This allows members to experience rituals live and spontaneously. I would like to encourage other groves and Protogroves to let the world see what you do for ritual. I have made some of my workshops available via YouTube so that members anywhere can attend workshops without having to leave their living room. I have made liberal use of Twitter and Instagram to put out prayers, devotionals, and bardic works for others to use in their own practice. I would like to encourage more people to complete the Dedicant Program. As part of that, I would like to allow members to submit one module at a time instead of the whole program to give them a sense of accomplishment and the ability to watch their progress as they learn about ADF. I am excited about the work being done with the Hearthkeeper Program which will allow members everywhere to establish a hearth practice independent of any study program. I am a solitary member as well and much of what I do is at my home altar. I want others to feel not only comfortable in doing so, but have an idea what to do. I also want them to know that they are not alone in their practices and experiences. To support that idea, I am happy to continue visiting solitary members upon request. If you aren’t able to get to a place where you can meet others, I am happy to come to you. How will you support those solitaries working through the DP by strengthening the mentoring program or establishing a virtual grove? Our DP mentoring program needs retooling. We once offered training for people who wanted to be DP mentors but that has not been offered in some time. I want to see this revitalized. I think that the mentor pool is rather limited and I think we need to put a call out for volunteers to take up this task. We have lots of capable people who may be willing step up in this role. We also have international members who wish to offer their DP services in foreign languages and we should be enlisting these members and advertising far and wide that we can review the DP in other languages than just English. I have done two DP reviews in French and we have German and Portuguese-speaking members who could step up to this task or have already expressed a desire to do so. I once thought the idea of a virtual grove was the way to go, but our current reporting structure for groves isn’t flexible enough to make this happen. I supported the idea of the Solitary Druid Fellowship and while there was some good liturgy created, this idea did not pan out. If we can find a way to make a virtual grove work, I am all for it. At the most recent Clergy Retreat in October at Tredara, we used Zoom to offer a virtual ritual to priests who could not be in physical attendance and not only did they attend, but they also participated. The paradigm is there – we just need to bring it forward. Perhaps this is a challenge that we overcome. I will gladly participate and I am sure many others will as well. I first did online rituals in the late 90s and it worked, although it was challenging just typing. Now, with products like Skype and Zoom, live participation is accessible to any member connected to the internet. With more solitary ADF members, supporting them in their practice may be the most important tasks we face if we want to keep them as well as get new members. What will you do to fix the Mentor program so that it can become a robust source of help for anyone who wishes to join ADF, but who is not local to an operating, healthy, teaching grove? I believe that I have answered this question in the preceding paragraphs, but I will offer some further thoughts. I recently had the idea that when we send out a new member letter/email, we can also include the first question in the DP, as a lesson, in, for example, the Virtues. Therefore, for those interested, they will have the lesson in hand; for those not interested, they need do nothing more. By offering a fully expanded lesson instead of something self-researched, and the ability to submit a module at a time, we may find more participation in the program. As far as mentors go, we need to train them, offer a balanced system of assignment of mentors and encourage international participation. Finally, while it is not desirable, not all members that come to us as new members decide to stay. Most of the feedback that we get from members that leave is that they have decided that this is not their path. For those who do wish to stay and have interest, we should help them at every opportunity. What sorts of efforts and contributions do you plan on making to the organization if you do *not* win this election? I have built many relationships and bridges throughout the years. ADF is an integral part of my life. Since I am a Senior Priest, I am dedicated to service and serving others. That will not change. ADF is my life. I want it to live and to live in it. Service will help this come to pass. My active participation with our membership would not change. What is your Vision for ADF for the next 3 years? For the next 6+? How do you plan to articulate and act out this Vision? I am a member of the committee that is currently working through the SWOT analysis. This will give us a number of tasks to work toward in the next 3 years. I expect that once this SWOT is completed and reported, we will look to do another one in three to five years and begin this process again. We will begin an organizational review at the end of this year to help us get a better understanding of where we are and where our vision will take us. I’d also like to see more membership involvement, better membership access, and community building within ADF, as well as connections with other Druids. I think it is important to enlist the help of our own members in this process and also to enlist the help of professionals to keep this process independent, transparent, and fair. This should be ongoing. I have worked hard to make ADF the international organization that it is and intend to continue to build bridges with members abroad and with other Druids throughout the world. Most of all, I want ADF to be and remain an inclusive organization where people feel safe and welcome. It is a part of hospitality. My vision for the next six plus years is to continue the process of evaluating ourselves while remaining true to the work we have done and where we find ourselves. We have an offering-based religion that honors the Earth Mother and the Kindreds and this is a path that we should remain true to. The Earth Mother comes first in our rites and should also be part of our practice. We need to review our programs of study to make sure they are up to date and solid and that people are utilizing them. If we change programs and no one takes those courses, then we haven’t engaged the people we are trying to reach. We must also evaluate the groups we have created and see that they still are valid and viable. If they need help, we should help them; if they are no longer needed, they should be retired. We need to encourage members to get involved in these subgroups if we want to breathe new life into them. I also want an ADF that understands that it has a place in the international community and as such must alter its focus on strictly domestic matters and understand that we must embrace a spirituality that applies globally. When I first entered leadership, I found elements of intolerance for other beliefs and paths. I found this rather unsettling and vowed to myself to change this if I had the opportunity. I have tried, in my time as Archdruid, to be open and welcoming of other paths and people. I like to think that all people of good intention are welcome to share our hospitality. Are there any specific goals you’d like to undertake, and what is your plan of action? Our new website, after a number of false starts and lost traction, is getting the attention it desperately needs. We just had a successful fundraiser to raise money for the development of the new website and the Mother Grove has budgeted additional funds to make this a priority. We are discussing the update as this is written. This has been aided by the addition of a new project manager to our team. She has an eye on process, schedules, and delivery. Our new Project Manager has recommended a number of pursuits that will help our outreach: monthly newsletters that highlight positive happenings in ADF. News from the Mother Grove, other groves, and solitaries, collected together and shared through this letter and other media outlets. We are currently discussing bringing in a professional developer to finally tackle our long-term problem with our website. It is long overdue. I think it is important to offer training to specific positions, most especially the Member’s Advocate. Our new Member’s Advocate should have a transition period with our existing one and be offered training to help understand what it takes to do a great job for ADF. I believe we need procedural documents for our other positions so that there is a clear understanding of the work to be done and the methods that we expect to be utilized. I would like to see all of our organizational documents updated to use more relevant and appropriate terminology when describing individuals. In order to accomplish this, we will solicit volunteers to work together in reviewing all of our documentation and making suggestions for improvement. I would like members of the Mother Grove, especially Non-Officer Directors, to sit on these committees. Our Human Services Specialist is an important position in our organization but there is a LOT of work to do and a lot of documentation to create. I would like to find some skilled volunteers to help share the workload for this crucial job. We need to continue our global outreach to other members and organizations that complement the work that we do in a neopagan world. Our European and Asia-Pacific Regional Druids have done great work but they oversee such large areas that we need to devise methodologies to help them extend their reach. Sharing venues with other Druids like OBOD, ADO, AODA, and RDNA may help us to better understand other Druids and explore and celebrate our commonalities. I am a member of many of these organizations and I welcome the exchange that we have experienced with them. What do you consider to be your best accomplishment of your previous term as AD? I don’t think there is a single accomplishment that stands out, but there have been many successes along the way with myself and the Mother Grove. Some of the accomplishments that I am very proud of are our Annual Report, presented as a document for the last two years, so that we have a written record of what we have done the previous year and that we can proudly present to others. An organization like ours needs this. Our Statement of Inclusion presents a powerful statement from ADF leadership to the members and to others in the neopagan community. I am very proud of the work that the Mother Grove did on this. I am happy to have ADF be a corporate sponsor with the American Forest Foundation. This was a Mother Grove project two years ago and was my project last year. I am proud of our first European priest and have encouraged others in Europe, South America, and Australia to join the Clergy as well. I am proud of how quickly we were able to get a large part of our leadership through consent culture courses and am glad that I was able to contribute monetarily towards that goal. I am also glad that we are finally upgrading our website after talking about it for so long. I have been fortunate to be able to spend so much time on the road to talk to members and non-members alike about ADF. I have traveled to Australia, South America, Europe, and Canada to meet with members and share in their experience of ADF. I will continue to spend as much time as possible reaching out to our membership in person. What do you consider your most significant failure in your previous term, and how do you plan to avoid a similar issue going forward? I think I will answer this by saying that there are occasions when we, as a Mother Grove, receive complaints that cause a lot of hardship and pain to the people involved. For some of these that we experience, I wish that I could have reached a happy medium where Moderation resulted in resolution. Sometimes, this is not the case. I will continue to try to reach a middle ground with the parties involved in the future. I think that a lot of negativity was encountered when we had our Facebook groups open to the public and I believe this caused us a lot of hardship, internally and externally, and a loss of some members because of it. Bringing the Facebook group to members-only was a positive solution to that situation. In both of these instances, communication was ultimately the issue. I will work harder to try to foster better information sharing and better information flow in the future. In what ways will your term be different from your previous term? What if anything would you do differently? Working with other members of leadership is critical to the success of any administration. However, every leader is an individual with their own thoughts and desires. There have been many issues that we have faced in the past three years, and personal differences between leaders have made working together difficult at times because there is often a sense of impending conflict. I have started to try to rectify some of this by inviting the Mother Grove to my home for each December for a meeting and retreat. This has allowed us to build cooperation between the Members of the Mother Grove and allowed us to sit across from each other and enjoy each other’s company, while we work together as a team. The Board of Directors need to work together and not at cross purposes. I will continue to serve, be of service, lead by example, and try to foster a sense of common purpose and collaboration. What do you think needs to be done to improve the “spiritual” needs of the congregation and how might you meet that need? The congregation needs to understand our practice. I believe it is the job of the Clergy and leadership to serve in this manner. We also, above all, need to be accessible and listen to our members when they have a need. We have to stand beside our members and not stand apart or at a distance from them. A handshake can go a lot farther then an email or a text message and if we are able to reach out personally, we should do this and encourage others to do so as well. Hospitality is our greatest virtue and we need to be hospitable always. We need to seek out the best in others and look to communication with others in as positive light as possible. Hostility raises barriers and causes conflicts; hospitality leads to understanding and a removal of obstacles. Let us be hospitable always. How will you engage the full membership to be a part of the major changes that affect everyone in the organization? Engagement is achieved through communication. We can put out information to everyone and we can ask for information in return. I expect that a member survey will follow soon as a part of the SWOT process and I expect this approach to continue in the years to come. Meeting with people, either in person or in virtual communities is the best way to learn what is on their mind and communicate what is in ours. It is critically important that the communication be open and not hostile. We have seen many instances where discussions are shut down by angry responses which immediately shut down the flow of information. We must develop standards and practices that do not tolerate hostility so that we can hear other voices, even when they may not agree with ours. Listening and understanding are key. As part of this, I believe we need to better utilize our resources, both through our website and our social media. We can provide a wealth of information to people if we are willing and able to use these tools to our advantage. Creating images, text, video, and audio resources that relate to Our Druidry gives our membership the opportunity to engage with us and each other, while also making us more accessible to people who may be outside of our organization. Do you believe in cultural appropriation of indigenous practices to be a real and valid concern? If so, how do you navigate that within our religious structure and community? As an Indo-European community, there is always the danger of cultural appropriation and the improper use of indigenous practices. ADF was built on the practices of the ancient Indo-European people and I think it is critically important to be mindful and step lightly in these paths. I know that I learned a lot from speaking to Brahmans about the Vedic hearth culture and how certain things that we might innocently include in our practices would be offensive to those from which we took them. We need to gain a better understanding of the pitfalls of cultural appropriation. This is not a matter to be decided in an afternoon and requires deeper research and reflection to gain a better understanding. The creation of a task force to look at our own practices might be a good place to start. As AD, you would be the visible head of the organization. Do you plan any interfaith outreach to non ADF organizations or people? Outreach has been one of the priorities of my tenure as Archdruid. I have opened doors with many different groups, both Druidic and non-Druidic. I believe that the Archdruid should have dialogue with leaders and members of diverse religious traditions so that we can learn and better understand each other. My book “A Tree for the Earth Mother” includes selections from Philip Carr-Gomm, Damh the Bard from OBOD, and Kristoffer Hughes from the Anglesey Druid Order, as well as members of ADF. I have spoken to diverse groups of individuals and heard them speak as well. The exchange of ideas is made possible through Hospitality and is furthered by the same. Let us be good guests and good hosts in our beliefs and our practices. This entry was posted in Druidry and tagged #adfdruidry, #adruidsprogress, #RDNA, ADF Priest, Druid, Druidry on March 11, 2019 by nightdrum. It is cold this winter. Too cold. I feed a couple of outdoor cats and I stopped seeing one of them in mid-December. It is now the end of January and I fear the worst for her, although I remain always optimistic for her return. The life of an outdoor creature is a difficult one anytime of the year. It is especially difficult now. Everyday, I put food out for my outdoor cats. Every evening I do the same. My other outdoor cat, Ghost or *Ghosti or Ghost-y, comes everyday, often twice, and dines on the offerings I put outside. After the first cold snap in Dec ember, I became worried for these gentle creatures. When I have a concern, especially beyond the ability I have to care, I turn to the Earth Mother or the Kindreds for help. I thought that if anyone would understand the plight of outdoor animals, it would be the spirits of nature themselves. I believe that the spirits of nature are instrumental in teaching us about the cyclical nature of reality in our world. They are born, they grow, the flourish, they diminish, and they pass away. Like us. Some of them go through these cycles on an annual basis; others go through it over the course of time. Like us. While I put out food and shelter for the animals in my world, I begin to think of the other kindred spirits who are struggling with this weather like my friends do. What can I do to help on a grander scale than my offerings of food and shelter on the front porch? I know that my animal friends are not alone in this harsh season. I know there are others, just like mine. I act locally by the things I do here, but I truly feel that by calling upon the ubiquity of the Nature Spirits, that I can help not only my own friends, but all of the other creatures that may need. Will my offerings be enough to change the reality for millions upon millions of outdoor animals? Probably not. I may help one. I may help a few. I may help an ever-increasing number. Yet, through my practice, I can only do so much. Therefore, I put together a prayer that I say during my daily devotionals (they keep growing!) and I wanted to share that prayer with you. Into the places where they will do the most good. The offerings I made were ones of food and shelter. I felt that these were offerings of immediacy and speak to the matter at hand. In my prayer, I ask for the Nature Spirits to protect the at-risk animals from harm – this is where the magical protection comes into play. What exactly can the Nature Spirits do? Will they keep all animals safe from harm? I think probably not. But I do believe, in my small corner of the world, that perhaps the animals at risk will find a place where they can stay out of the elements, either those that I have created, or those small, out of the way places where animals may find shelter. I believe that offerings and prayers are the things we can do to nudge the universe. I believe that the magic that the Nature Spirits can do is to nudge the physical universe in small ways as to make passage ways open, to make safety and shelter available, where it was seemingly not available before. This is my belief. It is not difficult for us to relate to the Ancestors – we all have someone that has passed from this world into the next. We can still remember them, we can still recall our interactions, we can still feel their presence in our world. They were there, and now they are not. It is not difficult for us to conceptualize of the Gods and Goddesses, the Shining Ones. When we first experienced need, or wonder, or piety, we put a face, a feeling, a sense to those entities that we call the Gods. We may not be able to picture them in our minds, but we have a sense for who they are. It is difficult, I believe, for us to conceptualize of the Nature Spirits. They are the entities closest at hand to us. They are here, living with us in this middle realm, our Earth. The Earth of the Nature Spirits and the Earth of we humans is here together, yet we may never see them. We may find that the unseen among the Nature Spirits are hard to fathom, are just beyond our understanding. Yet, I feel that they are there, waiting. By offering them the hospitality of your home or your environs, you acknowledge them and allow for a deeper relationship to blossom and develop. The Nature Spirits, in my mind, know those secret and hidden places that our animals friends can use to survive in this harsh time. The Nature Spirits cannot help alter the weather, but I truly believe that they can help other animals endure the weather and flourish. I will make my offering and my prayers. I remain optimistic. This entry was posted in Druidry and tagged #adruidsprogress, #RDNA, Druid on January 29, 2018 by nightdrum. This quote is attributed to Heraclitus of Ephesus, a pre-Socratic Greek philosopher who lived from 535 – 475 B.C.E. Perhaps this quote means one day is no better than another or perhaps every day is just like any other day, but I tend to believe that it means that each day is as important as another. Perhaps, to the stones, like Las Bruixas above, there is only one day that stretches on forever. For our friends in the Northern Hemisphere, let us read the names of the Dead and remember; for those in the Southern Hemisphere, let us read the names of the newly born and rejoice! After I read this, I thought, in the spirit of the universal and ever-moving (ever-changing) nature of the Earth Mother, that perhaps it would be best to do both, to honour those who are coming into the world and also to remember those that have passed through. The ancients may not of known that life goes on in an opposite manner in a different hemisphere, but we surely do and we should embrace this knowledge and revel in it. It takes a little bit of adjustment to consider and feel the slide towards winter and the ascent towards summer all at the same time. We don’t all move into sleep and hibernation; we don’t all run headlong into the glory of the summer Sun. We do both. We can do so by straddling the equator, one foot on each side, or we may do so by placing our feet on both sides of our understanding and experience concerning the seasonal changes and our experience of them. Please – don’t just live in the Dark Half or the Light Half of the Year: live in them both. We do not enter into a quieter time to stay in an eternal winter; we do not frolic into an endless summer. We know that each will come and that each will follow and while we can truly only live in one at a time in these three dimensions, we can contemplate and extend ourselves into a larger reality. As we honour the Ancestors, we often speak their names aloud and the Earth and the Sky are aware of their names because we speak them and we do so often. Yet, what of the young? What of the newest members of our community, be they animal or human? Should we not speak their names to that the powers-that-be become aware of their presence and entry into our lives. What of the newly Dead or those who have just become Ancestors, aren’t they born into that role as well? Shouldn’t we speak their names as well? I will call to the seasons as I pass through them, not just where I stand, but where I understand. I will honour the darkness that lengthens as the days grow shorter, but I will savour the days that get longer as well, in the lands to my south. I will live in both worlds at the same time, while my body is anchored in one. Let my mind extend where my body, for now, cannot. Unus dies par omni est: any day stands equal to the rest and for me, I will stand equally in both hemispheres as a child of the Earth Mother, in each and every day. This entry was posted in Druidry and tagged #ADF, #adfdruidry, #adruidsprogress, #RDNA, Druid on November 1, 2017 by nightdrum. I watched the sun setting tonight, deep and red, a sign of things passing and the long quiet road to the West. We look to the Sun as a guidepost: the morning Sun is new and hopeful; the evening Sun is mournful and passing. I felt that passing tonight. As I looked to the West, I recalled that my path tomorrow is to the East and Pittsburgh for the memorial service for a man I called a friend and a teacher, Earrach of Pittsburgh. Earrach passed into the realm of the Ancestors on the 31 of August. He was 63. Earrach was one of what I called ADF Legacy Priests. He was Ordained, along with five other priests, in 2002. In the early days when there was a dearth of priests in ADF, Earrach took up the mantle and wore it like dignity. It always fit him perfectly in my eyes. I found Earrach to be an amazing priest full of wisdom and patience and most of all grace. I think that Earrach was sometimes uncomfortable with his mantle of priest, but he was a damn good priest. I listened to Earrach talk about the Sun, a lot – it was a topic that he was passionate about. Really, without the Sun, where would we be? Like the rest of us, Earrach had good times and bad. The good times are easy. He was awarded recognition at Wellspring when I was Vice Arch Druid for Excellence in Blogging. His blogging was insightful and he had a large body of work to his credit: the Book of Sassafras is a masterwork, almost a Druidic Proustian offering. It is a collection of Earrach through and through. His marriage to Diana Paar was also what I consider good time. He also had loss and you can often judge a person by how they deal with loss. When Earrach experienced loss, he persevered. I was always amazed at his poise . Regardless of the situation, Earrach kept to the plan. He continued to do the work as though it was the first day of that work and the end of that work was never the issue. He had a keen and Capricornian understanding and appreciation of duty and that-which-must-be-done. I sat with him as he discussed his “Heresies”, his Druidic ideas that weren’t necessarily orthodox, but which were nevertheless representative of his belief and his practice. He thought about things, he wrote about things, and he did those things. Earrach did not pose or pretend; he was the real deal. When he read an invocation to the Earth Mother, he wasn’t performing a part, he was expressing a prayer, a belief, an understanding. If Earrach said it, he meant it and he believed it. I honour the genuine nature of his presentation and his soul. I spent a weekend with Earrach helping him with some study matters. It was an interesting combination of learning and detailed discussion around certain topics, mixed with feline matters and numerous trips to his library. He was a man in motion. He looked to the stars and taught others about the wonders of the heavens. He touched a lot of people. He touched my life. Oh the Journeys through Space! As the Moon absorbed all of the light. Oh the journeys in space! And speaking about the stars? And the Shining Ones above? Behind the moon on any given night. As you look down onto this little place. As an Ancestor and a friend. Tomorrow, my friend, we honour your work, your person, and most of all your legacy at your memorial service. It will be a time of celebration, recollection, and most of all remembrance with an eye to the most important thing of all right now: the Work Continues. A life is a collection of events that stretch from birth to death and all points in between. A legacy, a living legacy, is that work continuing through others, like a planted field full of wonder and hope. We will bring water to nourish that field; we will bring blessings to praise that memory; we will bring our desire to continue that dream. Earrach, my friend, the Work Continues. Let’s do it together. This entry was posted in Druidry and tagged #adfdruidry on September 22, 2017 by nightdrum. My goodness, how times flies. Some things diminish with the passage of time, others, blessed with a Proustian resilience, stay fresh and vibrant for long after the fact. I recently travelled to Germany to ordain our first European Priest, Rev. Elen Schibli-Lazzaro, and this is one of those events that is indelibly etched in my memory. We are an offering religion, offerings based on the concept of *ghosti, or hospitality. I am always touched when I find myself in a new or unusual situation and am met by spontaneous hospitality. It renews my faith in humanity and also in my religion. I recently traveled to Europe to meet with Druids and to ordain our first European priest, Rev. Elen Schibli-Lazzaro. What I found as I hopped from Luxembourg City to Frankfort and then to Padenborn was a different country and a different people. From the air, I saw wind turbines everywhere I looked and interesting stone formations every here and there. I was impressed with what I saw from the air. I was met at the airport and while I had spoken to Elen on Facebook, email, and the telephone, I did not know what to expect when I arrived. What I was soon to learn about my hosts was their kindness and hospitality. I found this to not only be the case with my hosts, but with every person who passed through their door. Over the next few days, I was made to feel very welcome. On the day of arrival, we did some sightseeing and saw some amazing sights. We went to the Externsteine, which is a sandstone formation in the Teutoburg Forest. There were carvings and grottos, altars and enclosures, things of great beauty and age. The topmost photograph was a small carved-out area that has an altar-like area within it and I was drawn to the circular opening in the rock on a location known as the Höhenkammer, or High Chamber. I have to wonder what that looks like with the Moon shining through, perhaps even on some solstice or equinox. The bottom photograph is known as the Sargstein or tomb stone. This type of structure is called an Arcosolium and I must say that laying in it was a moving experience. The cool temperature of the stone and the depth of the carving generated a very calming and grounding feeling. The vault overhead echoed when sound was made and I would think that this would be a powerful place for a funeral or initiation. It would make for a profound all-night vigil with the stone overhead, the mountain and grottos behind, and the water very near to the side. The length of the enclosure is approximately 2 meters. One of the other features of this place is a medieval carving known as the Kreuzabnamerelief or Christ’s descent from the cross. It is an image of some complexity, but there is a component on the sculpting which suggests the Irminsul of the Saxons, although there is no archeological evidence to indicate this site’s use during that period. In this image, Nicodemus is standing on the bent-over Irminsul, although his legs have been missing since the 17th century. Our next excursion was to the Doernberg area. The Doernberg is an elevation of 396 meters upon which were reputedly found the remains of a ring wall site from La Tène times. A Celtic fort was to have been located on the highest point of this area. It is an area of stunning views and a great place for quiet reflection. I felt that the wind that has blowing here had many stories to tell. There was a stone formation upon which one could recline and it gave me a feeling of deep peace and grounded-ness. I could feel the Earth Mother’s presence everywhere around this location. There was also a small labyrinth located on the site which we walked and given the location, the subtle wind blowing, and the general feeling of peace that surrounded the entire area, I found the walk to me quite moving. Being treated to such interesting and historical sites was a wonderful gift from my hosts. There were many more instances of hospitality for me to experience. On the day of the Ordination, people from different parts of Germany arrived. They were so very different and such good guests (from the guest perspective that I enjoyed). They weren’t here to celebrate ADF per se, but the ordination of one of their own, a new German and European priest. People spoke German, French, English, and probably a few other languages. People wore different attire, clothing which represented their traditions, their philosophies, and perhaps even their locations. Many people stopped to speak with me and I was very pleased to speak with people who spoke English so well. I had a fascinating discussion with a philosophy student concerning his views, especially some interesting thoughts about gift economies. The concept of a gift economy is especially interesting to people who follow a path of hospitality. As a participant in the ordination rite, I was honoured to be a part of this historic occasion and pleased to see the progress that this priest had made. I am very encouraged by our European presence and especially excited about the first of what I believe will be more priests. As an observer in the ordination rite, I loved to see the various people and their presentations, both is clothing and in attitude. Everyone made me feel welcome and I felt a kinship to these wonderful people. I felt like a novelty at this event, but these people, these kind people, made me feel like one of them for an afternoon. As the ceremony ended and the celebrations began, many people stopped by to say “hello”, paused to talk, and openly shared their thoughts and joys at the days events. I was like a sponge, absorbing the wonders of the days, and holding on to this feeling with a great desire to make it last, in my recollection, and in the workings of the future, both in Europe and around the world. I had a dream of seeing ADF grow in Europe and that dream was solidified by this ordination event, this priestly and personal success for Elen, and this gathering of peoples to see her become an ADF priest. Our ritual was celebrated in the shadow of a medieval fort, high on a hill. It was like the past was looking down on us in silence and in a gentle, reverent observation. Our many robes of many colours were like flowers in a garden that was blossoming in the late spring. Each observer, each participant was seed, carried to the winds with their departure. This garden became their garden became a patchwork of hopes and good works. The hospitality I experienced from my hosts is difficult to express because of the breadth of caring and sharing that came to pass on those few days in the green fields of this green land. As I walked into the airport and then flew high over the land, I saw the many windmills that stretch across Germany and I thought about the seeds in the garden in Hessen planted by and planted in a group of people, scattered in the winds by the windmills that dot the landscape, borne about by the sunshine of hope and beauty that community bring. We are so much greater when we link hearts and hands in the work of the future. To these people – I will call them friends – I look back and pledge never to forget and I pray that I may return again, like the Nature Spirits remind me each year. I take those seeds and I plant them as words in this story. Please, give them water and sunshine and treat them like a cherished guest, as I was. This entry was posted in Druidry on August 8, 2017 by nightdrum. Solstice – this brings to mind two things: planting the seeds and preparing to harvest. One is impossible without the other. While one hemisphere is thinking about the lengthening days, the other is preparing to gather in the fruit of their efforts in the shortening days. Due to the fact that we have members in both hemispheres of the globe, I find it more holistic – if I may – to speak about the two halves as one, of the two events as one since they happen at the same time. It is relativity in motion. Many years ago, I had an idea of trying to talk to our friends in other Druid communities and to seek the commonality in our ways, the likeness in our practice. It was a seed that I planted and a notion I kept watering over the years. Beginning at Pantheacon this year with some conversations with Kristoffer Hughes of the Anglesey Druid Order, and continuing with some conversations with Philip Carr-Gomm of the Order of Bards, Ovates, and Druids, I decided to approach them both to see if we could begin to describe ourselves as more generally “Druid” while celebrating our own individual paths. After all, there is strength in numbers. This is not an attempt to convince the Anglesey Druids to become ADF members or to convert the collection of Bards, Ovates, and Druids into ADF Druids. It is a wish to explore how we are alike while celebrating that we are different. Whether we are Revival Druids, Reconstruction Druids, or Isaac’s Vision Druids, we are Druids. When I think about what I DO as a Druid, I think about my ADF practice and how it defines how I worship, how I relate to the Earth Mother, and how I offer and acknowledge the Kindreds. 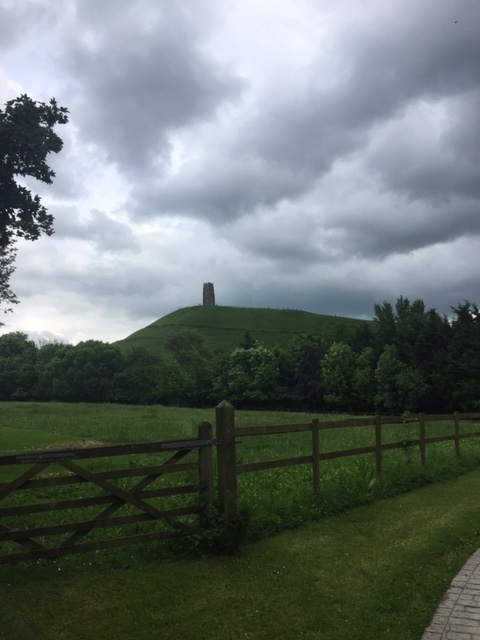 After spending time with Kristoffer and reflecting on my ritual experience with OBOD at Glastonbury Tor, I realise that we are all Druids first and foremost. There is something to be learned each step along the way. While I have been an ADF Druid for 33 years, I felt that it was important to continue my education along the way. I consumed RDNA information a number of years ago and that experience has enhanced my Druid practice, my ADF practice. My OBOD training, from Bard to Ovate to Druid was equally enlightening. For one thing, OBOD training is beautiful – it is a work of Bardic Art and it is pleasing to the eyes and the soul as well. Each lesson was beautifully written and I anxiously awaited the arrival of each new installment. There were delays but I completed my Druid Grade training in OBOD a number of years ago and I was impressed that I received a letter from Philip Carr-Gomm when I finished. At the time, I was the Vice Archdruid of ADF. I knew from my own studies that all Druids shared some fundamental views. Let’s face it, without the revival, modern Druidry may have never existed. I wrote to Philip Carr-Gomm at the time and said “Let’s explore our commonalities.” Philip graciously invited me to OBOD’s 50th Anniversary celebration in Glastonbury and I planned on attending until my traveling companions could not make it that year. Being a determined person, I did not give up and continued the communication with Philip and upon becoming Archdruid, I contacted him and said “Let’s explore our commonalities.” Philip once again graciously extended an invitation and again I had to wait. Earlier this year, one of our European Clergy students completed their studies and asked to be ordained. I was thrilled, of course, and when she said that she wanted to be ordained on 10 June, one week after the OBOD Summer Gathering, I knew that things were falling into place. In ADF, Hospitality is one of our virtues and -in my opinion – the greatest of our virtues because it requires at least one other person to make it complete: we cannot be hospitable unto ourselves. From the moment I arrived at the train station and met Philip Carr-Gomm until the time we parted three days later, I was amazed and awed by this kind, hospitable, wise and gentle man. I was treated with the greatest of hospitality and warmness and am still reflecting back on my encounter with Philip, his lovely wife, and the many stories and situations we shared on the journey to Glastonbury. Is this not what pilgrimage is made of, the sharing of stories, experiences, and lives while moving rapidly (or not-so-rapidly in a traffic sense) towards our destination? I was made most welcome by the OBOD folks. I was invited to supper by Damh the Bard and this was like a fan moment. Damh’s music is legendary and he is an amazing performer and a more amazing individual. He was so very kind to this traveler throughout the weekend. If you haven’t heard Damh the Bard or the Druidcast program, please do – you owe it to yourself to hear this great podcast and this great performer. He is a Bard and a Gentleman. I am an even bigger fan than ever. The purpose of my meeting with Philip was to explore our commonalities. He is the Chosen Chief of the Order of Bards, Ovates, and Druids. I am the Archdruid of ADF and a Druid Grade member of OBOD as well. Philip introduced me to the Gathering as the Archdruid of ADF and I was warmly welcomed and fielded a number of questions from interested people. The morning was opened by a wonderful ceremony around the altar in the center of the room and after opening comments by Philip, we broke into groups by Grade, and I found myself in session with the Druid Grade people. I have to admit to being a little intimidated – this being my first OBOD Gathering – but I was made to feel at home and joined right in with the meditations and work at hand. Each Grade was tasked with presenting a piece of the ritual later in the day around the theme of water.. The group I was with went right to work and it was a pleasure to see an entire room full of diverse people working together towards one end. The final result of the morning’s work was a stunning piece of ritual work that came together very beautifully and was accomplished with grace and professionalism. I was proud to be a part of this work. As I walked up to the path to the top of the Tor, I was amazed at how steep the pathway was, but, the determined pilgrim, I put on my robe and began the ascent. As I moved around the side of the Tor, I was impressed by the view: clouds stretched across the sky, but the land stretched into small hills or mountains in the distance, remnants, perhaps, of the old straight tracks of which I had read. When I finally reached the top and Saint Michael’s Tower, I knew that I had made it to a special place. Druids and interested people were milling about and the wind was blowing. A light rain was falling and the air was full of anticipation. Suddenly, from across the way, I heard “Drum! Ca va?”. Paul, one of our ADF members from Wales just happened to be on hand. In a sea of new people, it was unexpected to see a familiar face. It made me think that perhaps there were more general commonalities than I expected. The ritual was a beautiful OBOD rite, and while the weather was cool and rainy, the work that had been done by each of the grades was really appropriate to what was to be done. A raven kept circle clockwise around the tower, riding the updrafts. I took this as a favourable sign. The rite was a success and the walk down the Tor ( a much easier route ) was not a chore, but a joy. The evening was filled with food, fun, and entertainment, with bardic performances and offerings by a number of members. At the end of this long day, I was very tired and sleep did not take long to find and embrace me. The Inn where I stayed was called The Apple Tree. What a perfect name for an Bed and Breakfast in Avalon. I slept the sleep of sweetness and delight. The next day was to be a busy day: Philip would give his view of the next 30 years, I would be invited to speak about ADF, and then Philip and I would speak together and field questions and discuss our commonalities. I was very excited for the day, yet rueful of the thought that this glorious gathering would come to an end. The next day, we gathered again and listened to Damh the Bard – which is exquisite in person, I must say. Philip spoke about the progress that OBOD has made in the last thirty years and talked about his vision of the future. I was then given the opportunity to speak about ADF and I talked about some of the things that I feel define ADF: our polytheism, Isaac’s vision, the Core Order of Ritual, and our focus on hospitality and making offerings. I talked about how we honour the Kindreds: the Ancestors, the Spirits of Nature and the Shining Ones. I also spoke about how I felt that we share a common link – our Druidry and our love for nature. While our rituals may be different, we still gather and worship on the High Days like all Druids do. There is a fire in our rituals and fire is honoured in theirs as well. We call to the Land, the Sea, and the Sky, and, in their own way, they do as well. Philip and I shared a microphone and a common cable that attached us both for our question and answer session. . This was a practical electronic requirement but it was also a symbol of how we used a common link to bring us together: our Druidry. We talked about our similarities and our differences: ADF has a clergy whereas OBOD does not; ADF is neopagan and OBOD is not. We could dwell on the differences, but the similarities are much more interesting. As the gathering ended, I was left with a profound sadness at seeing the many kind people leave for their own lives, and I for mine. Philip was kind enough to drive me to London for my rendezvous the next day with the continent. On the way to London, we drove by Stonehenge and I felt that my trip was complete. As I stood on the curb and watched Stephanie and Philip drive away, I began to miss Glastonbury and the beauty of my pilgrimage. I was already thinking about how I could return again, and hopefully soon. After all, we are all Druids. This entry was posted in Druidry, Uncategorized on June 26, 2017 by nightdrum. When something really special happens, I usually make offerings. I wouldn’t call it superstition, I would call it thankfulness. To some people, ADF is a North American phenomenon, an American phenomenon. It really is much more. The desire and ability to reach out to our members wherever they may be has been a foundation of my practice as Archdruid. Part of Isaac’s Vision is to have indoor temples/sacred groves throughout North America and Europe. I saw in Australia two years ago and in Brazil last year that ADF has not only members, but places of worship in more than just those two continents. In fact, ADF has members on six continents, with Groves and Protogroves on four of those six continents. We are not just an American phenomenon. Last year, I was fortunate enough to Ordain our first Canadian priest coming out of our new Clergy Training Program. Our Clergy once again extended past the boundaries of the United States and we Ordained a remarkable priest by the name of Rev. Lisa Wasilkowsky Malik. This Training Program is also a part of Isaac’s Vison, namely to create a professional clergy training program equal in difficulty and superior in results to anything done by the world’s other religions. We like to believe that the program is demanding and more importantly, that it is verifiable. Just this month, ADF passed a milestone: we approved our first European priest, Rev. Elizabeth (Ellie) Schibli-Lazzaro, our European Regional Druid and the leader of one of our German Protogroves, Adrana ProtoHain. Ellie has worked hard on a program that is not in her native language and has done exceptionally well. She has helped to translate a number of ADF documents and pages into German. This is not an insignificant event. Our founder, Isaac Bonewits, had envisioned the global reach of ADF. The ordination at Three Rivers festival in Canada last year and this ordination in Germany demonstrates that ADF has an appeal abroad. It shows that our belief in reciprocity and our virtues strike a chord with people everywhere. It is one thing to start a Grove or a Protogrove in ADF. People who run these organizations spend a lot of time in planning, reporting, and executing the necessary functions of these groups. Ritual planning is not trivial, getting the word out to nearby individuals is not always easy, and introducing a concept like ADF to individuals in a different country or another continent takes a certain amount of vision, which just happens to be one of our virtues. As part of their ordination package, we require applicants to send us a video of them doing a full Core Order of Ritual rite, which is the standard presentation for ADF Druids, especially for High Days. For all of our previous ordination candidates, the rituals were presented to us in English. Since Ellie is German, I asked her to present her ordination video in German, because I wanted us to see exactly what her protogrove members see when she does ritual. Ellie presented us a video in German, with an accompanying translation so that we could follow along. It was a powerful experience to see the Core Order of Ritual expertly performed in a foreign language. I have been fortunate enough to have had this experience in Brazil last year, but in this way, all of the Clergy Council officers were able to see this event for themselves. It really brought home the understanding that we have moved far from our own borders and boundaries into a new world, an expansion of the vision that we all follow. I will be ordaining Ellie in June in Germany. I look forward to this opportunity to expand our clergy onto a new continent and I am hopeful that this will encourage others, not only In North America and Europe to seek the Clergy, but also in Australia, South America, Africa, and Asia to expand the vision even further. Assuredly, people do not need to be priests to expand the vision of international practice, but in order to fulfill the “create a professional clergy training program equal in difficulty and superior in results to anything done by the world’s other religions”, they do. I am proud of all of our priests and for the work that they have done and continue to do, but I am especially proud of our newest priest for expanding our practice across an ocean, across a linguistic divide, and into a new paradigm and understanding. I am proud of Ellie for being such a pioneer. ADF gained a new priest just now, but, in another way, we grew up a little today, and it feels like a new day. To all of those, human, Ancestor, Spirit of Nature, Shining Ones, and Earth Mother, for this blessing, Accept Our Offering. This entry was posted in Druidry, Uncategorized on April 1, 2017 by nightdrum.